CHECK OUT ALL OUR 5-STAR REVIEWS! "This family owned business is the best I have hired. I have been dealing with them for almost a decade. They under promise and over deliver. Thank you Marvin, Jason and Paul. You have a customer for life." "Paul was so helpful and informative about flooring that would meet my needs. I would not consider buying flooring anywhere else!" "I have been all over town and beyond to try and get the best prices for flooring in my home, and these guys are ultimately the best! Paul and Jason are top-notch sellers with great knowledge in the industry and have excellent customer service skills. They do their research and know the market well, offering you the most reasonable and honest price. I got carpet and vinyl from them, and plan to buy tile from them in the future. The whole process from start to finish was a wonderful experience. I would not go anywhere else for flooring!" "Most of the living areas in our home have ceramic tile flooring. However, we decided to replace 20-year-old carpeting in a relatively unused Jack-and-Jill bedroom area with wood-like laminate. Jason and Paul are a delight to work with, and Hugo, their installer, is one of the most professional, polite and neat contractors that we've ever had perform work in our home. Forget going to a "big box" store for your flooring needs -- Distinctive Carpet & Tile provides a relaxing atmosphere in which you can browse and ask questions without feeling rushed, and the final product is installed at a fair price. Will definitely use them again for our flooring needs." "We have been dealing with Distinctive for many years. All our floors are covered with their products, wood, carpet, tile. Great service by both Paul and..."
"I am so happy that I stopped here on my search for new tiles for my house. I was on a mission to find the perfect gray tile at the right price for my new..."
"We bought a new house and had to redo the bedroom floors. Paul (owner) was very patient and informative as he guided us to the best flooring options. I..."
"Excellent customer service. Paul and Jason were a pleasure to work with and were responsive, knowledgeable, and obviously put their customers' needs first. The job was executed in a very professional and timely manner, from my initial visit to the showroom to the final day of installation. The whole process was explained well and Paul and Jason communicated promptly about each phase. The installers were punctual, polite, helpful, clean, hard working and took great pride in their work. The craftsmanship exceeded my expectations. I was born and raised in this area and it's hard to find a company of this caliber in South Florida. I will definitely recommend them and use them again. Keep up the great work!" "Paul is very helpful at helping you pick out floors that are right for your home and space. Hugo was amazing at laying the floors. He is neat and precise with every cut. It was a great experience. I will never go anywhere else for my flooring needs!!" "Such a great experience working with Paul! Paul was always quick to respond to any questions. Work was done very well and timely. A rare thing with many contractors these days. Will definitely be referring friends and family!" "Only great things to say about Distinctive! Jason and Paul were very helpful and knowledgeable when it came to picking our floors - we went with Mannington laminate for our master bedroom and guest room. Not only did they follow up to get our floors in on time, they were actually early! Unheard of in home renovations! On the install day, the installers were on time, professional, totally cleaned up after the job was finished, and were done in one day. Would definitely recommend to anyone looking for help with flooring projects - you are in good hands!" "Paul and Jason are great guys! They hooked me up with a beautiful porcelain tile that looks just like marble. They gave me the best price and had it installed very quickly. The contractor on my house was going to charge me almost double for the same tile. 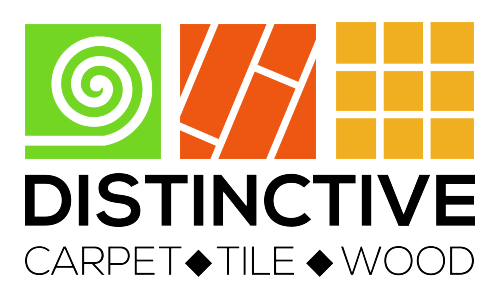 I fully recommend this company"
"I was about to finalize my project with another company and decided to check out Distinctive Carpet and Tile. That was my best decision in my new home renovation process. Paul and Jason are very kind and thoughtful. They make sure you are 100% happy. We got a great price but more importantly, they gave us amazing service. The installation was perfect and very well done. I would recommend them to anyone." Enter your email to receive updates of new products and monthly exclusive specials! Copyright 2015. Distinctive Carpet & Tile. All Right Reserved.